On the day of their second show in L.A., at the House of Blues, I spoke to the drummer of Jethro Tull, Doane Perry. I don’t often (OK, this is the first time) get the chance to speak to legendary bands, but I didn’t shy away from this experience. Once Doane was finished setting up his drum kit, he and I sat down in one of the quiet and plush upstairs rooms and spoke at length about what its like being in Jethro Tull. Highwire Daze: How did you become a member of the band? Doane Perry: I will give you a very short version of this. I had worked with Pat Benatar who was also on Chrysalis and the producer had told Ian (Anderson) about me when he was looking for a drummer. The guy at Chrysalis knew that I loved Jethro Tull and he said [to Ian] that he knew of a guy who could cope with the music. Concurrently a friend had called me from New York and had seen an ad that Jethro Tull had placed, looking for a drummer. They didn’t use their name but he knew who it was. It was a very funny ad, very cleverly worded but it never mentioned Jethro Tull. I called Chrysalis and my friend says ‘I can’t believe you called, I’ve been trying to find you. I had told Ian Anderson about you and he thought you might be a good candidate. Around ’83 I had done a record on Warner Brothers called Maxus. I sent him that, and I also sent him a tape of songs from other bands I worked in. Ian called me a few weeks later and they had narrowed it down. He asked if I could come over and audition. I did and got the job. HD: It was good timing. Doane: For me it wasn’t just a job. I loved Jethro Tull, had great respect for the music and loved the band live. I really understood the music. I had a real enthusiasm, which I guess must have come across. Half the audition was the music, the other half was they took me out to dinner. I didn’t realize it at the time that that was the second half of the audition, just to see what kind of person I was. I think that probably was equally important in their minds. Any time you’re going to be on the road with somebody even if it was only six months I stayed with the band, it’s now 16 years. They want to see if they can get along with the guy. I suppose I passed. 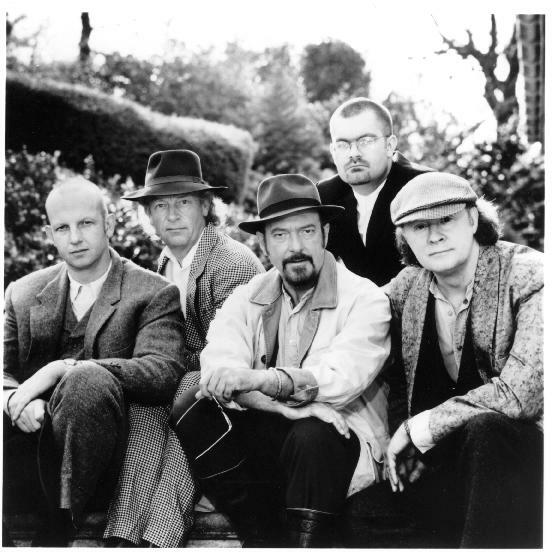 HD: How did Jethro Tull end up on Fuel 2000 instead of a major label? Doane: Our contract was up [on EMI] and we came to Fuel 2000. Ian met up with several record companies and he felt that they really wanted us. We had a lot of major labels that wanted us too, but there is something to be said to being with a label that puts a lot of effort into your band. Fuel 2000 have been great because they’ve been working the album really hard. We work very hard on the road and we’re always happy to do what we can to promote every album and every tour. We want people to be aware that there is new music. It’s not just catalog that is out there. The problem with bands that have been around as long as we have been is that the perception is that because radio plays classic tracks the larger audience might not realize that there is new material. We’re always putting out new records, and the band has evolved. There have been many changes within the sound of the band. It has been a very natural progression for us. We want to be perceived as a current band because we really love to play the new stuff. We rotate all of the old songs every tour. Every tour a band sees, there will be different material. There are almost 300 songs in our repertoire. We’ve been allowed to evolve and change as a group and have a sound that constantly changes. We are fortunate to have a loyal audience that will come to see us no matter what. In that sense working outside of the mainstream suits us well because we are able to play the music we want to but operate from the inside out. The band is governed by the music as we feel it should be played. HD: I find it interesting that you have a song called Dot Com that is nominally about cyberspace yet that song and most of the album sounds organic, almost a throwback to the days before digital. Doane: I suppose there was an effort to make that song as well as the whole album sound very organic. It was the five of us in the studio playing together as much as we could. Obviously there are times when we are overdubbing things but we wanted the whole record to have that live, organic…we are playing in real time together. We wanted a certain earthy quality to it. We are availing ourselves of all the technology that’s out there to create those sounds. We try to integrate it in a discreet way and in a way that doesn’t call attention to the fact. 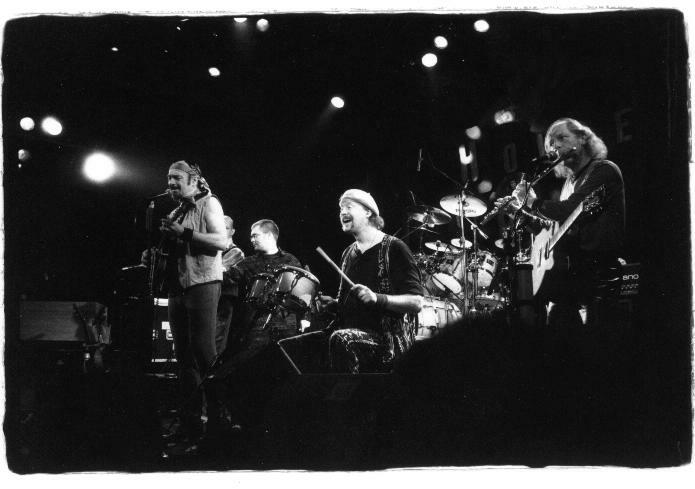 Whoever has been in the band at the time brings their personality on their instrument to the band and that is part of what the musical and sonic identity of Jethro Tull is at any given point. HD: With Bungle in the Jungle one of your radio hits and best known songs, why don’t you play it live? Doane: We haven’t played it in the States in a few years. We did play it in a medley of songs. We did that for a while in Europe. I don’t know, there are so many Tull songs and that is just one… There are a few songs that we always have to play but the rest of them do get rotated. You don’t want people to come to the show the next time and say ‘this is the exact same set they played two years ago.’ That’s why every tour we make an effort to put in different material and also rearrange that material so it’s not just an exact reading off of the record or a previous live arrangement. There is always changes in the music. I think that is fun for us and exciting for the audience because they don’t quite know how we are going to do it. HD: What is your favorite Jethro Tull song to play? Doane: That is just an impossible question. A song I like playing is a song off the A album called Black Sunday. I love that piece of music, I love the lyrics, it’s a very challenging and fun song to play. We haven’t played it in some years. I enjoy all of them for different reasons. Even songs that would be relatively simple technically, like Life’s A Long Song which is a simple song, not much busy drumming. That’s a much simpler piece of music but sometimes its just as difficult to play a simple piece of music and to get the notes in the right place and feel in the right place. To play slowly, quietly and sparsely is just as difficult because there are less notes filling up the bar. Whether you are playing a lot of notes or a very few notes, every note has to count. HD: Tell us about your record label and album. Doane: There are two records out. [The label’s name is] Laughing Gull Music and I did my own project with my writing partner, Vince DiCola, its called Thread and it is available through a link on the j-tull.com website. It is broadly speaking Progressive music but we have a vocalist named Ellis Hall who came to us from Tower of Power and George Duke. He is a fantastic singer and bass player and keyboard player. I’m also working on music on my own at home that I may put out on my own. There is another album (called Something With A Pulse) that I did for my friend Mark Craney who played in Jethro Tull in 1980-82. He was on the A album. He’s been one of my best friends for 20 years and he’s been in need of a kidney and pancreas double transplant and he’s been waiting quite a while because he’s an unusual blood type. All these people that Mark had worked with in the past freely contributed tracks. From Gino Vanelli, Jethro Tull, the band also did another song especially for this project, Tower Of Power gave us a track, Eric Burdon gave us a track, Mike Kennealy from Zappa’s band, Terry Bozzio gave us one of his solo drum tracks, there is a Thread track in there and James Taylor gave us a track. These are all people who are friends of Mark’s and admirers of his playing. James is Mark’s favorite artist so that was a real blessing. We put it out on my little label Laughing Gull and all the royalties go to Mark. The band is now on tour to promote their latest effort j-tull Dot Com, which is also the address to their band-run website. The Main Page: Read more of Bret's Ramblings. Jethro Tull's home page: The band's informative and irreverent site, ran by the band themselves! Reviews Page: Read reviews of such artists as Tiles, Tom Petty and Moby.